I am thinking about calendars more and more these days. Not just because I manage one in my day job, but also because I need to manage the one at home more skillfully! We are so caught up in the whirl that I am often amazed we remember anything at all! I love that there are people out there (GCL and MDE) that maintain beautiful calendars and always have the Birthday cards ready a week or two ahead of time AND manage to get the cards out in the mail with time to spare for delivery. I think calendars are the best gifts - but the personalised ones with all the dates already noted, with pictures or quotes, with some character, are the very best! Days-To-Remember Calendar 6X6 -- personalise in so many ways! Whisper White Birthday Calendar -- Birthdays and Events in a perpetual calendar. And coming out September 1st, in the new Mini Catalog, an adorable calendar kit and coordinated stamp set I can't wait to show you! 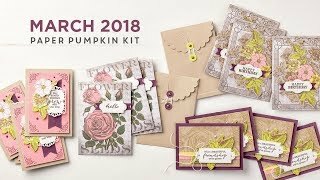 If you want it to be a more traditional calendar, you can use some of the great coordinating paper and embellishments to create a beautiful calendar to treasure. Preserve happy memories. For the month of November or December use a photograph of Uncle Harve carving last year's turkey or a closeup of the family Christmas tree with its collection of ornaments gathered over the years. Relive significant moments. Put Mom and Dad's Wedding Photo on the Month of their Anniversary. Honor a lifetime of achievement. The year Grandma turns 100 give a calendar to everyone at her birthday party that is full of significant dates and photos of her life from birth to present. Coordinate your calendar. Give a gift set of personalized calendars along with matching birthday, anniversary, and other special occasion cards. Use a family theme or decorate with your own artistic creations. Keep family history alive. Use photos and birth dates of long gone ancestors. Create a collage of all the 'Juniors' or other family members -- past and present -- that share the same name, the same birth month, or the same occupation. Watch baby grow. Make a Calendar Baby Book. Start with the month of the child's birth and for each month provide a place to record 'firsts' measurements, and other milestones. Decorate with appropriate graphics or baby photos of the parents. Don't forget the cranberry sauce. The absent-minded Chef in the family would appreciate a custom daily/weekly meal planner for the holidays. Put in reminders for ordering the Thanksgiving turkey, when to start baking and freezing cook ahead dishes, or the best times to stock up on seasonal ingredients. Never forget another birthday. Keep birthdays and anniversaries handy with a business card size calendar listing significant dates for family and friends. Make it a folded business card style and add a birthstone list, favorite colors, or sizes. Add it to that special someones birthday month, or to signifigant holidays. For your kids, maybe a monthly card for allowance or iTunes downloads. For a Boss or special Co-worker, maybe a coffee card of the month or a gas card for when you know they'll need one - vacations or holidays. For that family member with a new baby, maybe a diaper card or different gift card for each month - dinner out or movies (with a note of baby-sitting included :-), home or baby store cards for baby-proofing, box of candy for the new parents. For your sports fan - tickets for a game, or season. There are countless cards out now, and a thoughtful addition to a simple calendar could make for a Wow gift! Some of these ideas are quick and easy, but others you may want to add time to your calendar NOW to be able to complete them by the gifting season. Calendar templates for to print and assemble can be found HERE. 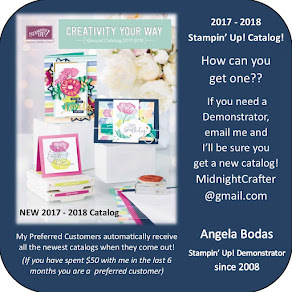 Opportunity Knockin' -- its Stampin' Up!